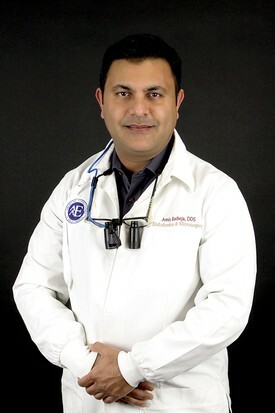 Dr. Amit Batheja has worked with Brightman Dental since 2013. He received his Bachelor in Dental Surgery at the College of Dental Surgery in Mangalore India in 1999. He then attended Loma Linda University and received his DDS in 2002. He went on to practice general dentistry in Southern California for 5 years and also served as part time faculty in the Emergency Care Department at USC in 2007. In 2009 Dr Batheja completed his graduate residency at USC and received his certificate in Endodontics. He actively maintains professional memberships with the ADA, CDA, Tricounty Dental Society and the American Association of Endodontists. His broader interest areas are in metaphysics, Reiki, and enjoys studying the work of David Hawkins M.D.,Ph.D.